Last month we unveiled and provided a first look at Dynamics 365, showing off the capabilities our customers can expect from our latest generation of intelligent business applications. Today, we are excited to announce that Dynamics 365 is generally available. The first thing users will see with Dynamics 365 is that we are bringing our business applications closer together in how they look, feel and integrate with each other. 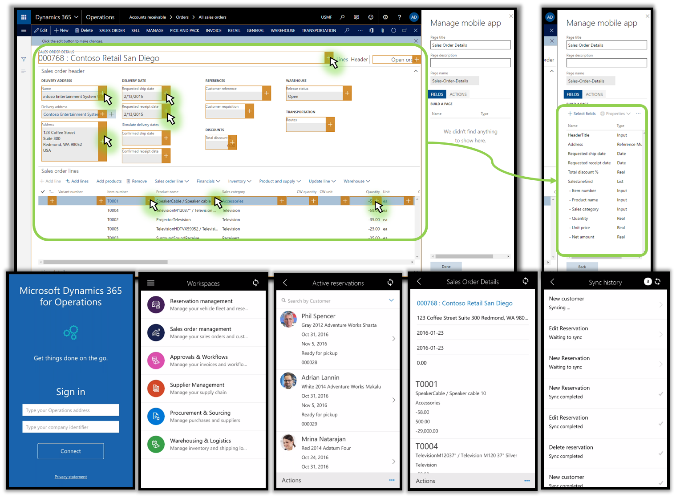 To better enable end-to-end business processes, we have unified the navigation and core user experience across each of the Dynamics 365 applications. It remains clean, beautiful, and familiar and it gives you the ability to seamlessly move from one application to another without switching windows. And when a user logs into Dynamics 365, the home-screen will show you all the Business Apps and information relevant to you or your role. 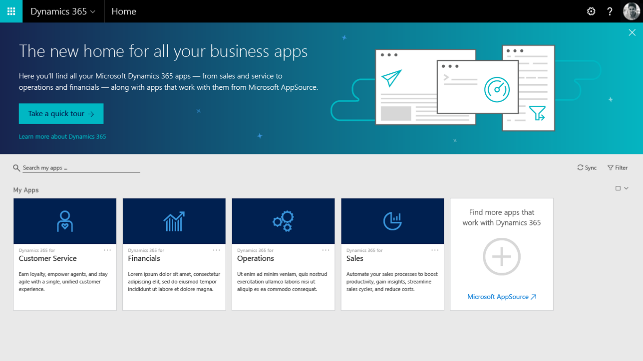 With one click, users can connect to Microsoft AppSource, quickly and easily locating the most relevant capabilities from hundreds of precisely curated additional business apps enabled by our partners. 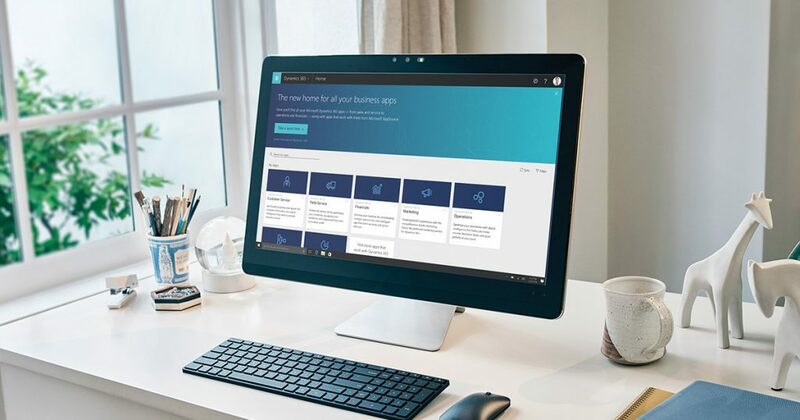 Dynamics 365 for Sales adds new social selling capabilities enabling people to share knowledge and participate in social conversations, find and connect with new companies and people to generate new leads. In addition, gamification is moving from preview to global general availability. It will expand beyond sales scenarios to help teams across the entire organization collaborate and compete in fun, engaging contests. With highly visible contest results, users are motivated to perform their best for themselves and their teams, leading to increased performance, productivity, and adoption. Dynamics 365 for Customer Service, helps agents use relevance search to quickly find related content and use faceting to filter to the right record. Agents are now able to edit records directly in a grid while respecting the business rules for the entity. Dynamics 365 for Field Service, helps organizations improve resource productivity by enabling service organizations to fit in more appointments each day by automatically optimizing technician schedules to minimize driving distance between appointments. Connectivity with IoT is now seamlessly integrated at the platform level enabling connected device signals received to initiate many business processes, such as automatically dispatching a technician for preventative maintenance, as well as the ability to send back commands directly from within the application, for example resetting a sensor. Dynamics 365 for Project Service Automation, enables unified resource scheduling and service billing experiences, allowing organizations to leverage scarce resources and skillsets not only across field and project-based services, but any source of resource demand. Dynamics 365 for Operations, the evolution of Dynamics AX on Azure, is our complete business management solution with industry capabilities around Retail, Distribution, Manufacturing, Public Sector and Service industries, across the spectrum of backend operations into Financials for upper mid-market and larger customers. With this update, Dynamics 365 for Operations will add country specific versions of the app for 18 new markets. Also, as announced last month, we will provide a Cloud Connected on-premises deployment option (available in first half of 2017), with all the inherent benefits of the cloud. The Fall update adds a Vendor Collaboration portal to streamline key processes including Invoicing, a reimagined approach to Cost Accounting, enhanced deployment options for Retail store environments, out of the box support for US Payroll, including Affordable Care Act Reporting, and myriad additional functional enhancements across the product. Dynamics 365 for Financials, our comprehensive business management solution for small- to midsize- businesses (SMBs), that has generated tremendous excitement through its public preview program as Project “Madeira” is now also generally available, delivering everything SMBs that have outgrown their basic accounting software require, powered by the Microsoft cloud. Productivity, remains the cornerstone of Dynamics 365. Dynamics 365 for Sales, introduces a new Add-in for the Outlook app. Sales users can now get rich sales related information about their prospects right in the native Outlook app experience. Companies can now also use the Dynamics 365 Add-in with the Outlook client to get a quick overview of their contacts, and track the email, appointment, or contact in Dynamics 365 using the Add-in. The Add-in supports access to templates and knowledge in Dynamics 365 to quickly draft emails. Dynamics 365 for Operations, delivers a variety of mobile experiences for consumers, warehouse workers…in fact, for all application users. A mobile shopping application that will enable retail consumers to browse, search, and complete their shopping experience on a mobile device. Warehouse inventory apps enable pick, pack and ship scenarios. 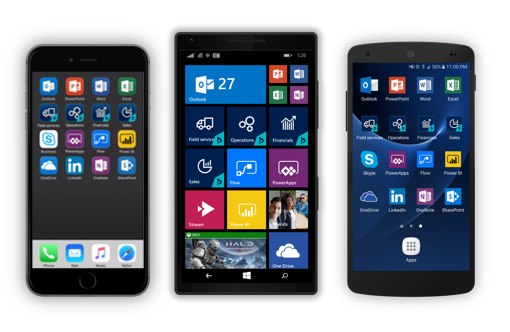 We are excited to introduce the capability to mobile-enable any existing Dynamics 365 for Operations process for the iOS, Android and Windows Phone platforms using a point-and-click designer. We have enhanced Office 365 capabilities including Excel experiences with improved designers, Skype for Business presence support, an external feed control including SDK support for integration with Yammer, Twitter, LinkedIn, and Email. A new built-in ad-hoc reporting capability delivers modern, formatted reports in Microsoft Word. A built-in user training mode rapidly enhances the productivity of new users and the understanding of new processes. Dynamics 365 for Financials, empowers SMB user productivity, bringing the full power of the application into the Office 365 experience. Receive an email from a customer, see the information about that customer right in Outlook, generate the quote they’ve requested without changing context, and return a beautifully formatted Word document for the quote as a PDF with just a few clicks. The current update of Dynamics 365 for Financials includes Outlook calendar interoperability for streamlined productivity when billing for projects. be available for intelligence and analytics without putting load on the main transaction processing store. On this infrastructure, we have added a product recommendations feature that enables retailers to offer personalized product suggestions to shoppers at the point of sale. Powered by machine learning algorithms offered via Microsoft Cognitive Services, suggestions are based on customer’s individual purchase history, items in the wish-list, and what other similar customers are buying. from Office 365, and Microsoft Dynamics 365 to automatically determine the relationship health of a customer and deliver contextual insights that assist the seller in building stronger relationships and delivering a more personalized experience to their customers. These capabilities also help sales people automatically capture related data from Office 365 and track email engagement, and provide alerts and suggest contextual actions to help improve engagement with prospects. Dynamics 365 for Customer Service, we are adding advanced analytics and machine learning scenarios to help agents solve cases faster by surfacing relevant knowledge articles and related cases while solving an inquiry, and text analytics bring insights and discovery to reported issues. Dynamics 365 for Field Service, helps service organizations improve customer satisfaction using Connected Field Service to detect, troubleshoot, and resolve issues remotely before customers are affected. 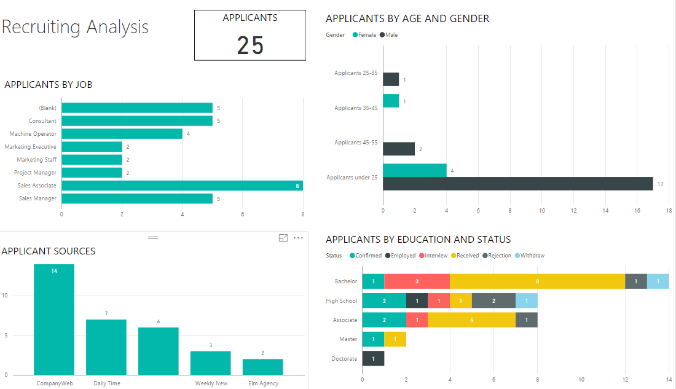 Dynamics 365 for Customer Insights, is a completely new solution, in fact, our first finished customer analytics solution that connects and analyzes data from Dynamics 365 – and other widely used business applications, web, social and IoT sources – and applies intelligence to it to create a 360-degree customer view with automatic suggestions to improve customer engagement. 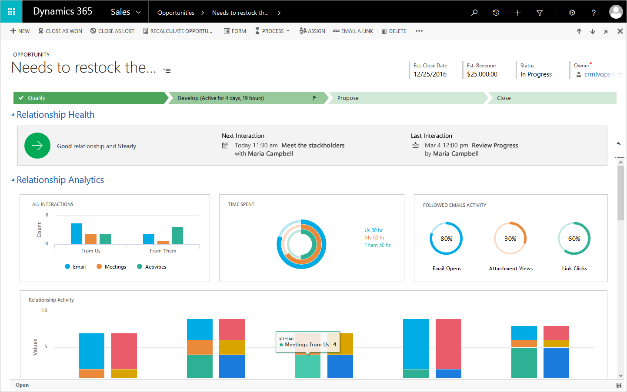 Dynamics 365 for Financials, introduces a reinvented cash flow forecasting based on Cortana Intelligence, delivering actionable insights to one of the most critical business processes for SMB customers. The above are just a few examples of how our deep investments in AI and data visualizations are coming to life within Dynamics 365 applications to help our customers gain insights from data across their organization, and turn those insights into intelligent action. Customers can purchase Dynamics 365 applications and plans starting today. For existing customers of Dynamics AX, you will seamlessly transition to Dynamics 365 for Operations when you receive the Fall service update. If you’re using an older release, upgrade and migration paths will be available when you’re ready, along with tools to streamline the path to Dynamics 365. Participants in the Project “Madeira” preview will also enjoy a seamless transition to Dynamics 365 for Financials. Similarly, customers for Dynamics CRM Online will receive Dynamics 365 for Sales, Dynamics 365 for Customer Service, Dynamics 365 for Project Service and Dynamics 365 for Field Service as appropriate with their Fall service update. Learn more about any of the Dynamics 365 applications, or start your own trial here. Delivering an adaptable platform and tools that customers can use to extend their applications, create custom apps and automate processes is essential for businesses to meet customer and market demand and keep up with the fast pace for business. This ability to connect business processes is enabled by our business applications platform tools that include PowerApps and Microsoft Flow powered by the Common Data Service. Using PowerApps and Microsoft Flow our customers can easily build new apps and workflows that work across Dynamics 365 and other systems and data sources, without having to be a professional developer. Business Applications Platform for Dynamics 365 is available for customers today. Read the PowerApps and Microsoft Flow general availability announcement to learn more. The general availability of Microsoft Dynamics 365 is an important milestone. We are incredibly excited to get it into the hands of our partners and customers to enable them to better engage with their customers, empower their employees, optimize their operations and transform their products, services and business. We can’t wait to see how these applications empower you to achieve more. Please let us hear about your success.